generated on a contact surface. customized to serve your needs. ※Patented in Japan and USA. A Simple & easy-to-use 3CH strain amplifier. 3-step low-pass filter realizes low-noise and high-precision measurement. *Interference correction calculation is required externally. *A measuring device, DSS300, has the interference correction function. Auto-balance and interference correction calculation functions equipped. interference correction calculation for a 3-axis force sensor. Outputs ±5V of analog voltage. ● Outputs both analog and digital signals. ● Analog: Can easily convert output voltage to physical values by applying the coefficient (rated capacity/10V). ● Digital: Outputs physical values in CSV format using the software. Digital low-pass filter (-24dB/oct) without phase-delay reduces analog noise. ● Real-time measurement, monitoring physical quantities (N) of 3-axis force sensors. ● Max. 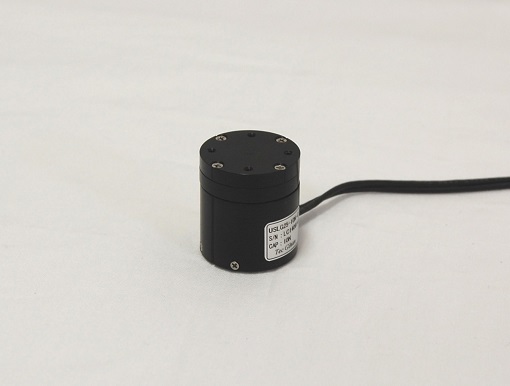 five 3-axis sensors can be used per unit. Max. 21 sensors can be measured simultaneously by cascading terminal boxes. ● Data are saved in CSV format. ● Digital low-pass filter (-24dB/oct) without phase delay allows analog noise reduction. 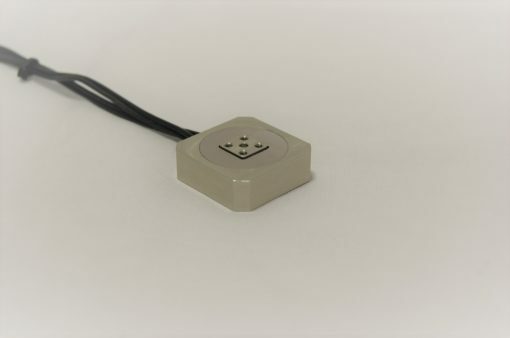 ● Available for other devices such as strain gauge sensors. 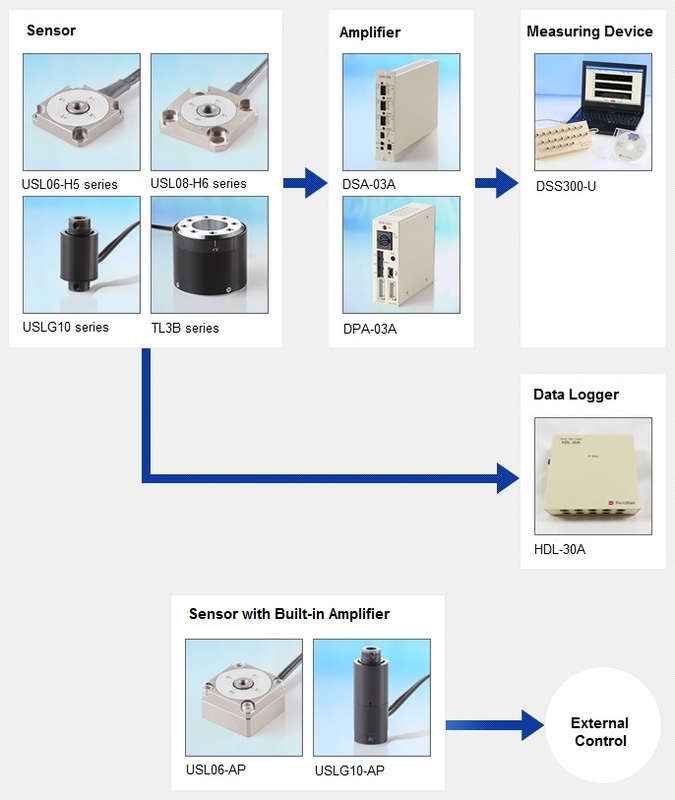 ● Offline measuring device (data-logger) that can measure maximum ten 3-axis force sensors. ● Wearable for its lightweight (approx. 310g. excl. external battery) & Small body (120×110×40mm). ● Data are saved in a USB memory and output in CSV format using the software.